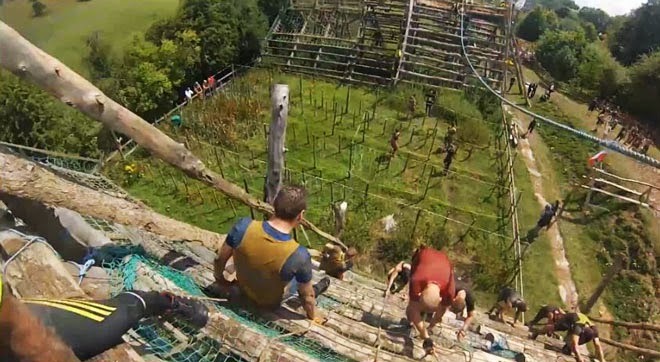 The best thing about summer, apart from the fact that it’s actually summer, is doing obstacle course races again. Woohoo! To a lot of people though, judging from reactions I get when I talk about them, the idea of the obstacles themselves seem a mix of scary, dangerous and outright insane. 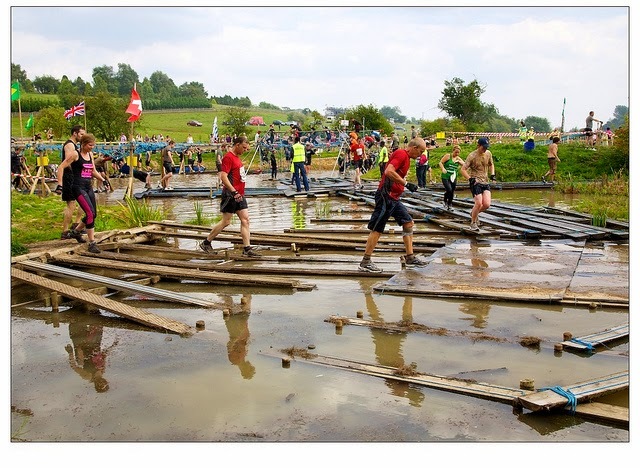 So I thought it would be a fun idea for a post to look at some of the biggest and bestest obstacles out there, which will either serve to make you want to do a race, like, right now, or reassure you that your decision never to do one of these things was the right one. 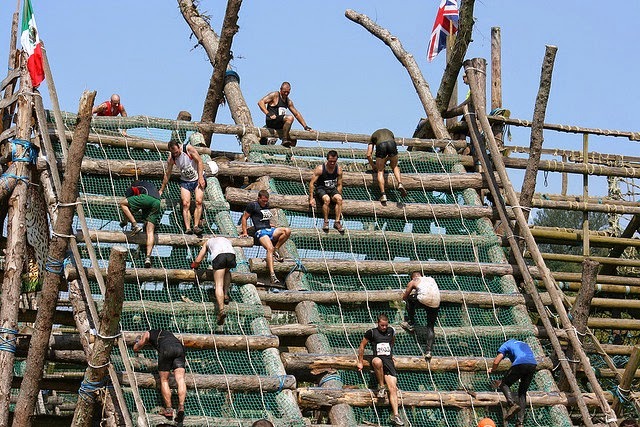 The obstacles themselves look like they’ve been built by a cack-handed giant who felled a pine forest, bought a couple of kilometres of blue rope and tied together a bunch of trees. They are huge in scale (due to the fact it’s a permanent site), often very high, and also look like they’ve not even caught the eye of a health and safety officer, let alone passed his inspection. That said, they are sturdy as hell – at no point did I ever feel otherwise, this year or last – so I think (and hope) that’s just the impression they like you to have. They also have some of the best course marshalls of any event I’ve done who are pretty on-it when it comes to giving directions and making you feel like you’re in good hands. The evening before the race, we went for a wander around the course. This is one of the first sights to great you as you head down the field. It was covered in ivy and had a giant pile of horse manure next to it (not part of the course). Note the caravan for scale. And of course there is also lots of mud. 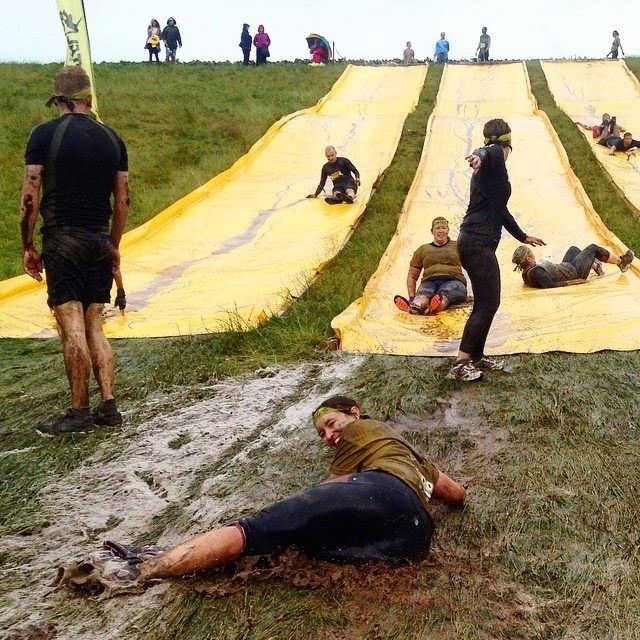 No OCR would be complete without mud! 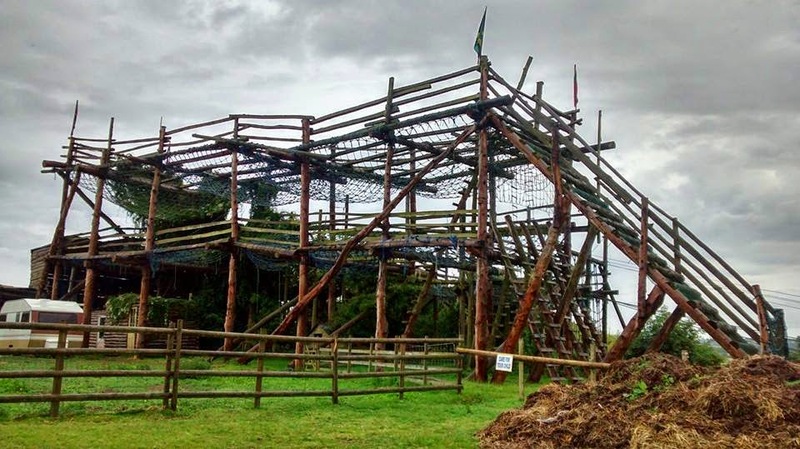 Whilst the Nettle Warrior obstacle are big, they are not very technical and in many ways not that challenging, beyond their size and the fact that you are pretty knackered by the time you reach them. 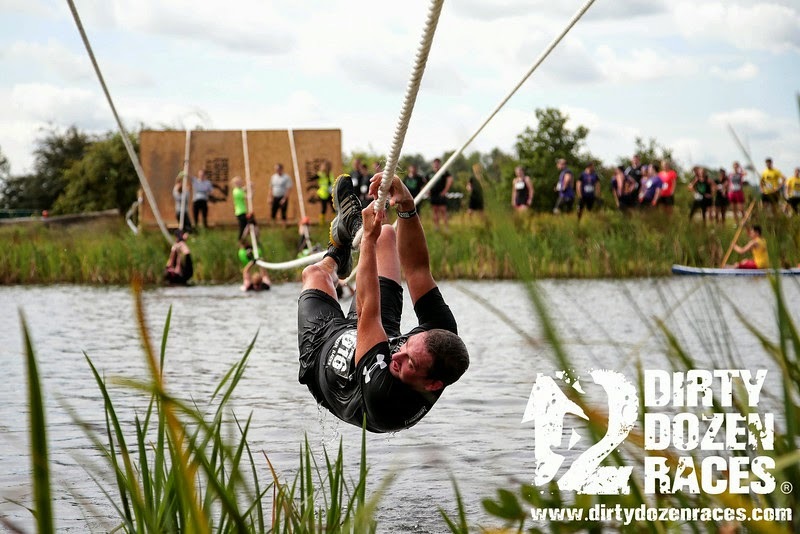 If you want well-constructed, difficult obstacles that take skill as well as strength to overcome, then the king of the obstacle world is Dirty Dozen‘s The Beard, aka. Doug Spence. A few weeks after Nettle Warrior I headed down to do another Backyard Jam, which is an obstacle course Doug has built in his garden. 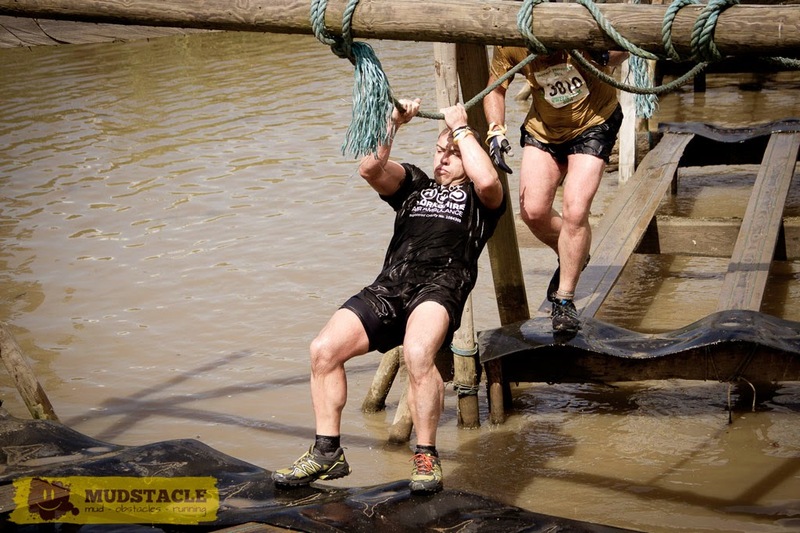 I won it last year, but this time Doug had added more obstacles, and (even worse) I had some serious competition. Whilst I nailed the obstacles (brute force serving me well) I was absolutely thrashed on the fitness front (damn those burpee penalties!) by Clare Miller and Lucy Martlew, and ended up coming third. Doug said at the start of the day “this is a course that will show you your week points”, and he wasn’t wrong. It’s been one of several massively motivating events for me so far this summer, and really made me focus on my cardio game. This was an interesting one: get through the hoop however you could. Easy for me – just like a bar pull-over – but although they don’t require much strength, they are tricky to perform if you don’t know how, and a lot of people ended up throwing themselves through however they could. 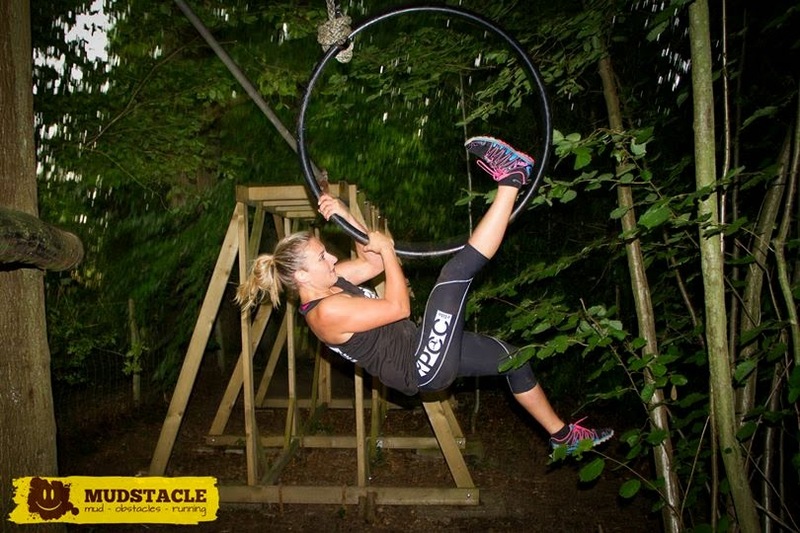 Check out the Mudstacle video highlights below for more madness, and congratulations to Jon Albon and Lucy Martlew for winning! 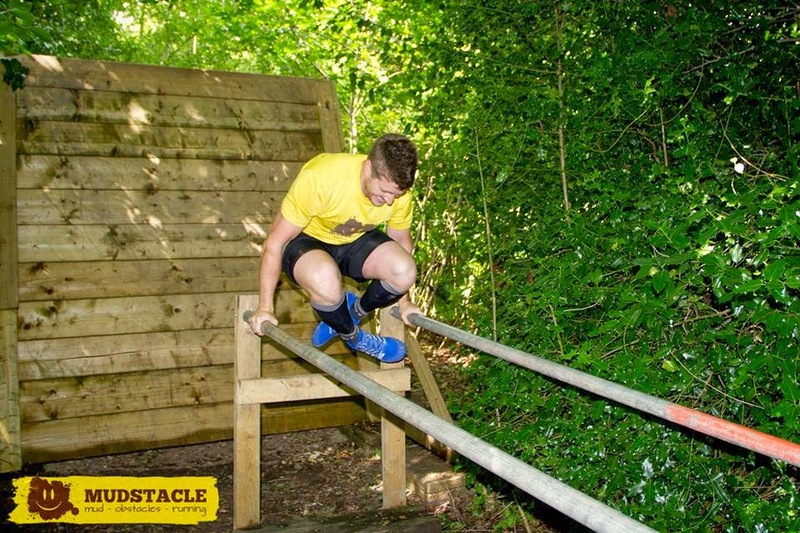 It’s one thing to build an obstacle course in your garden, but another to scale it up so that thousands of runners can smash their way across, over, through (or around – with burpee penalties!) your creations over the course of a weekend. So when I did my first Dirty Dozen race last weekend I was very excited to see what was in store, and it didn’t disappoint. 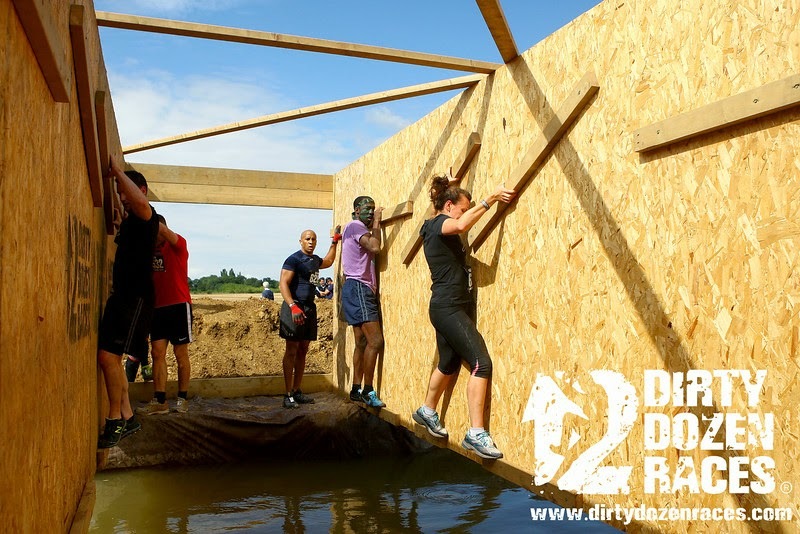 One obstacle I’d never seen before were these traversing walls – hold onto bits of 2×4 with your dear life and don’t fall into the cold water behind you. The Irish table was… tricky! 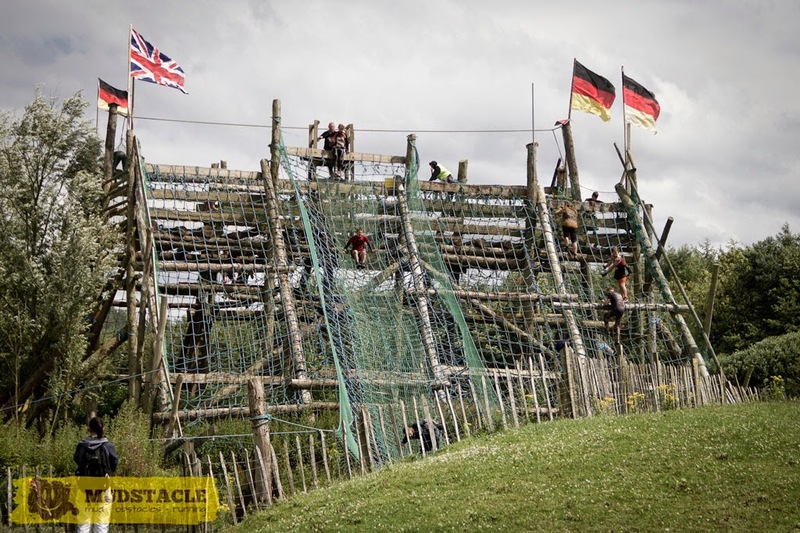 Luckily my trusty teammate, who I had basically coerced into running with me in order to help me up obstacles such as this, gave me a wee bunk up, then I hauled my arse over the top. 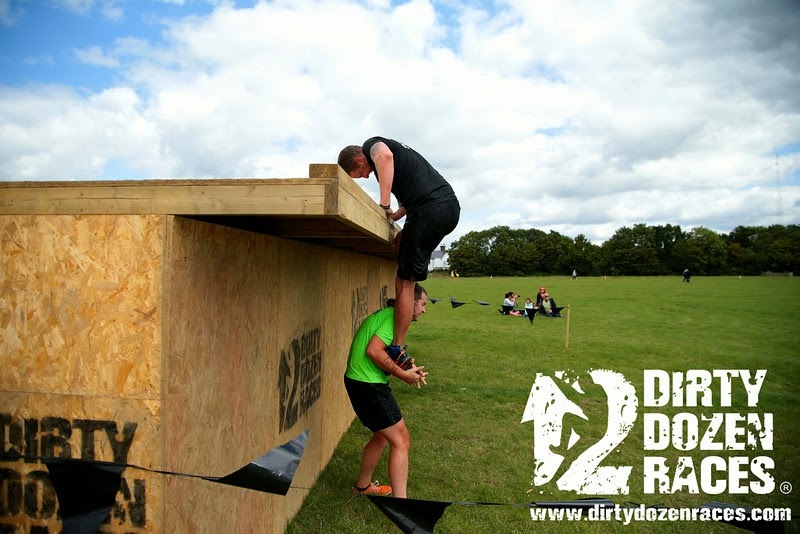 The final obstacle of the course was a 10 foot wall. “Intimidating” sums it up! 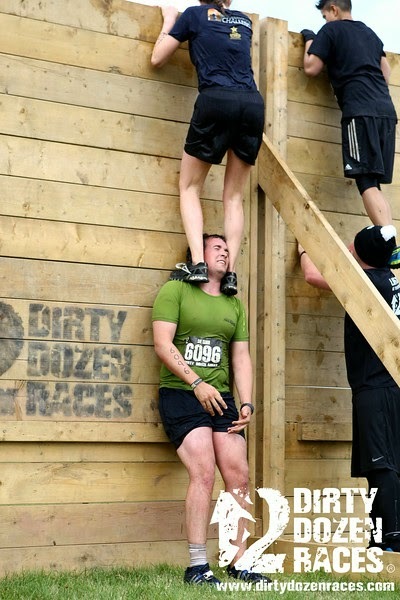 This took some serious effort to get over – Chris climbed up and pretty much hauled me up by one hand. I don’t want everyone to think that obstacles are just there to be incredibly difficult to get past though (even if that is their primary purpose). A lot of the time they’re actually really fun. My favourite part of the Dirty Dozen course was a log carry, of all things. They had dumped a lot of soil in piles over a stretch of several hundred metres, making it more like a very technical trail run than a straight-up carry. Surprisingly, it wasn’t too fatiguing, and also very entertaining to be able to leap (as much as you can with a lump of wood in your hands) from point to point. And there you go. Now that you know all about the worst (and best!) things you’re likely to encounter, you really have no more excuses not to sign up! 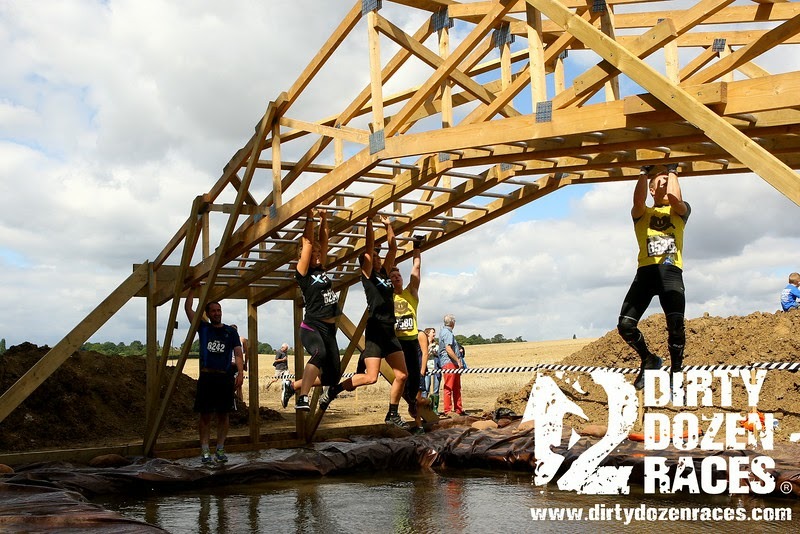 If you’re in/near London and fancy getting involved, then Dirty Dozen is holding several events over the weekend of the 27th and 268th September: a 6km, a 12km and an 18km. I shall be doing the latter! And since The Beard is so far-reaching in his awesomeness, he’s set me up with a discount code: use “FionaS” and you’ll get 10% off.